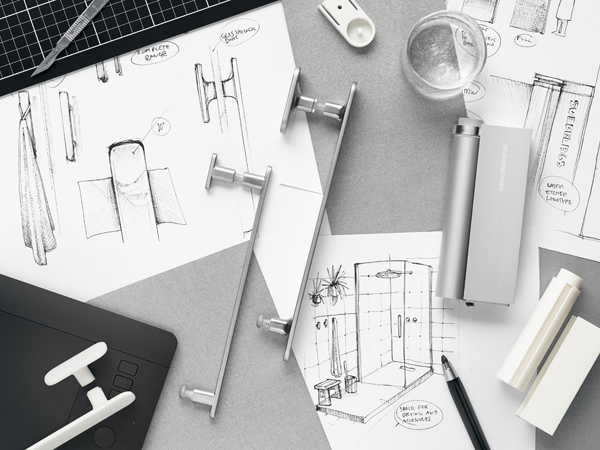 The leading Nordic bathroom specialist Svedbergs approached Form Us With Love to find an elegant solution to the customizable bathroom platform. New insights into how people use and construct their bathrooms informed the design of a simplified range of profiles, glass screens, handles and trays. The versatile platform proves that you can easily translate the vision you have for your own space, big and small, into a finished solution. “It is a generous idea for a user that gravitates towards the experience of online and offline, The Forsa Collection allows you to choose all the details yourself,” says Form Us With Love. 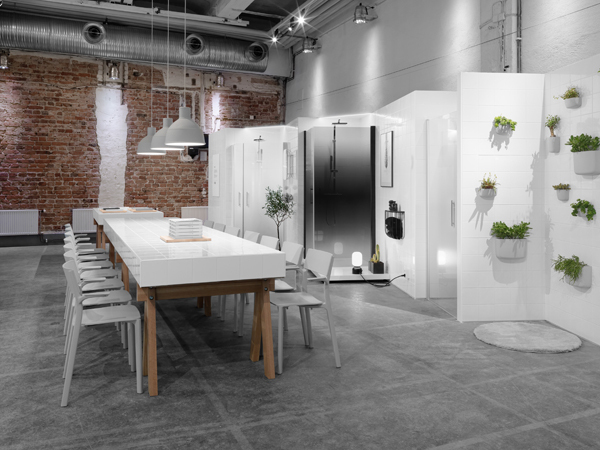 The design is simple yet smart, offering rational design in constrained spaces. 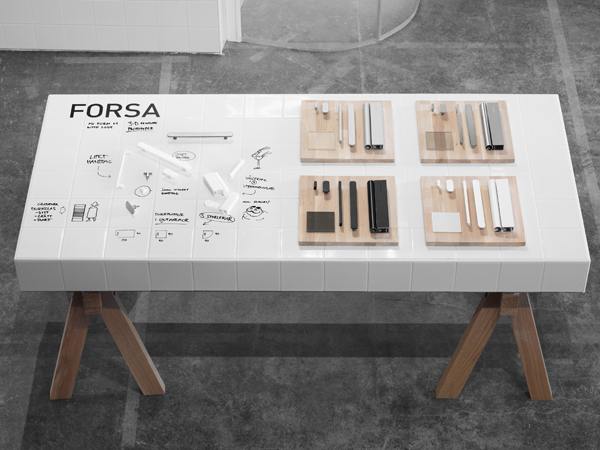 With slimmer profiles, gradient glass and integrated handles, the Forsa Collection is neat. “Design functions, like the flexibility of having shower doors open in two directions or smoked glass available in numerous versions, are what really makes the Forsa Collection different in the somewhat static segments of bath and shower interiors,” says Form Us with Love. The platform enables users to look at the often fixed and generic shower cabinets in a different way. By giving the customers the opportunity to choose from a list of curated, well-thought-out items, Svedbergs and Form Us With Love invites the customer to create something personal in five easy steps. “The idea was essentially to create a platform that solved the common question: ‘I don’t want to spend time, but how can I make this fit in my bathroom?” says Stefan Svensson at Svedbergs. The Forsa Collection is developed and made in the Svedbergs factory in Dalstorp, Sweden. The closeness to the manufacturing meant an integrated design and development process, qualifying prototypes and design samples constantly, with tested for sturdiness, functionality, heat, moist and water, all at the in-house plant in Dalstorp. “We are inspired by the everyday life and we feel that any bathroom interior is as much function and longevity as they are design, feel and style,” says Form Us With Love. Forsa is a Shower Collection to be both durable and bypass trends. The collection comes in more than ten different shower models, two types of profiles and handles in four finishes; white and black matte or polished and matt aluminum in combination with an option of six gradient glass doors.